An admired colleague of mine lost her child to kidnapping and murder when the child was just entering her teenage years. This event was so shocking, so vicious that it started to enter into the mother’s heart. She said that she would have gladly killed the man if she could and would have done so while she smiled. Yet, in time she realized that her entire being was being transformed by the effects of the resentment living within her….and she did not like at all who she was becoming. The killer was about to take a second victim, the mother, as she emotionally degenerated because of the stress and monstrous nature of the act. She chose to forgive instead and her life took on great meaning. She became a conduit of good for her other children. She began to show them a new way, one based on goodness instead of the absence of goodness. The children were able to see this new way and to take that goodness into their own hearts. A life of meaning and purpose in service to others grew in the heart of the family. The killer did not claim them as other victims and there was triumph. The mother came to realize that profound injustice can kill without even touching another–but it did not happen here. There is something so powerful about realizing that forgiveness helps us stand against the chaos of cruelty and triumph over it even when the grave injustice has had its way for a while. It no longer continues to have its way because the absence of good (the chaotic injustice) is met by goodness itself and goodness is the one that seems to win in the long run. Sometimes I just want to give up because forgiveness is so hard to accomplish. What do you suggest when forgiveness is really hard like this? 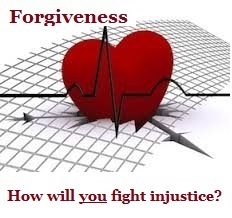 Forgiveness is never easy when the injustice is strong and the hurt deep. So, please know that you are not alone. There are several approaches you can take. First, you might want to start by forgiving someone else who is easier to forgive as a way to build your confidence. Also, are you expecting to be done with the forgiveness process in a short amount of time? If the hurt is deep it can take months of steady effort to forgive. Finally, I urge you to look toward the fruit of your forgiveness: lower anger, more hope. As you see these as endpoints to your forgiveness it might strengthen your will to persevere. Stand when you are treated unfairly, knowing that the other has created disorder. Stand so that you do not become a part of that disorder. Forgive so that you put love into a situation that could break you, that could make you disordered. 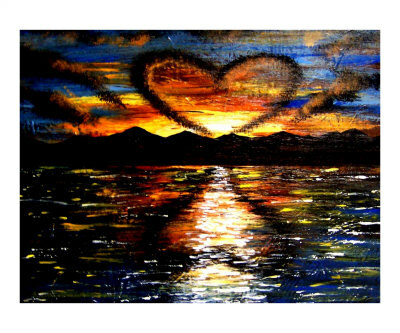 Love persistently so that you put goodness back into a world that is tempting you toward anger and bitterness. Wait for love to come to you and keep your heart soft through forgiveness so that you are able to receive that love when it is offered to you. We need to change your view of who you are as a person if you have been stuck in unforgiveness and are discouraged. The world will tell you that you are less than you should be if your loved ones reject you. Do not listen to the world. I have seen that it is all too easy to condemn yourself when others first condemn you. Fight against that, starting now. Who are you as a person? You are someone who has inherent worth even when you struggle in life. You are someone who is special, unique, and irreplaceable even if you have unhealthy anger in your heart. You are not—-you are not—-a failure at forgiveness. Remember that forgiveness is a process and this takes time. Please do not be harsh on yourself if you are struggling with the process. 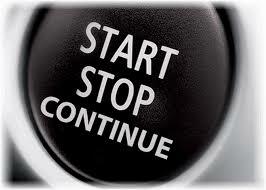 How you are doing in this process today is not an indication of where you will be in this process one month from now. Who are you? If you are like the rest of us, when you begin to forgive another person you will start and stop and start again a number of times before you arrive, safe, at the journey’s end, confident that you have forgiven. You will be making great progress and then have a dream about the person and wake up angry all over again. You will think you have conquered, only to meet the person who hurts you again, and there is the anger. Or, it is the holiday season and you reflect back on your life hoping for peace and instead get a piece of the person’s own anger, and once again you are angry. The forgiveness path is like this and so please be gentle with yourself. I just do not have the confidence to forgive one of my parents from issues of long ago. I keep telling myself that I will not be able to get it done. What can you suggest to me that might boost my confidence? First, I suggest that you look back on your life to concrete examples of your forgiving others. Have you had at least one successful attempt in your past? If so, you have shown yourself that you can forgive. Even if you have never forgiven someone, you can start now with someone who is easier to forgive than your father. Try to recall someone who has hurt you in the past, but who has not hurt you severely. 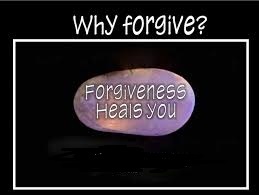 Start the forgiveness process with him or her and keep at it until you have forgiven. Once you succeed with this person, then try another, again who has not hurt you gravely. Once you have successfully practiced forgiveness on these two people, keep in mind the path that you walked and now apply it to your father. The practice may give you the confidence you need. 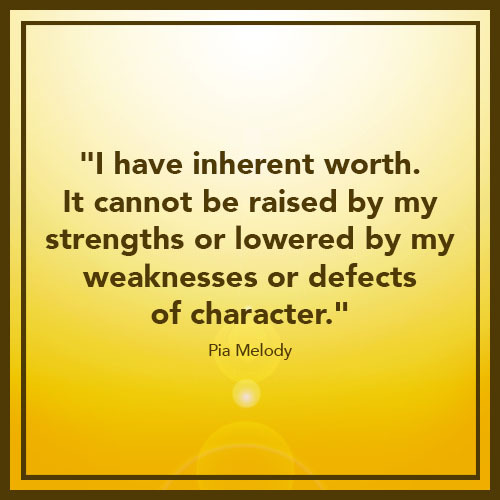 When you find meaning you are not playing games with yourself by say, “Oh well, I can just make the best of what happened to me.” Yes, you can make the best of what happened, but if this is your meaning in what you have suffered, you are not going after that woundedness inside of you. The “oh, well” approach is so passive. We need a more active approach to the pain.